It’s not often we come across agencies that truly live up to the oft-used hype ‘pushing the boundaries’. However, when we found Loop.pH, we knew it was special, so we decided to devote a whole feature to some of its recent work. Based in London, but creating experiential projects all over the world, Loop.pH calls itself a ‘spatial laboratory experimenting across the fields of design, architecture and the sciences’. Founded in 2003 by Mathias Gmachl and Rachel Wingfield it created ‘visionary experiences and environments’ that encourage people to re-imagine the future and to explore the role of art and design in public spaces. “Our work speculates on near and far future scenarios as a way to probe at the social and environmental impact of emerging biological and technological futures. The environments we create often synthesise living materials with digital tools, whilst exploring a new role for designers working at an urban scale,” says Loop.pH. 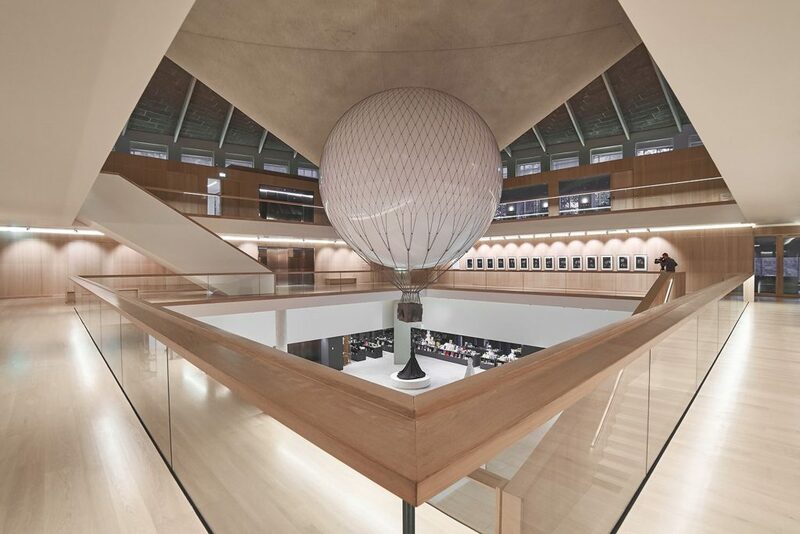 One of its most recent project was for this year’s London Design Festival that saw it create a spectacular installation in the Design Museum, which invited visitors to pilot an airship using the power and focus of their minds inside the museum’s atrium. 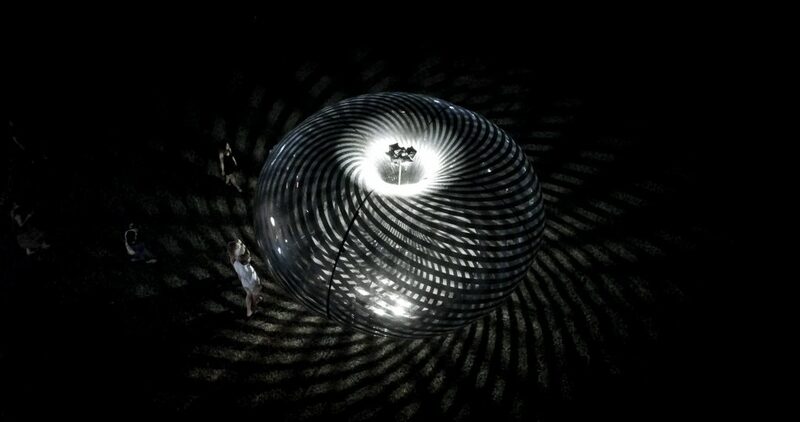 Mind Pilot (above) was an interactive installation that saw a lightweight, airship able to fly in multiple directions within a tethered framework. The ‘pilot’ wore a virtual reality headset that stimulated the sense of being in flight, and a device that measured brain waves to send signals that navigated the balloon in the space. Shadow Bath (above) was a luminous pneumatic bathhouse commissioned for iLight Marina Bay in Singapore, Asia’s leading sustainable light festival. The theme of the 2016 edition of the festival was In Praise of Shadows, which invited artists to reframe perceptions of light and sustainability. Loop.pH created an experience that worked with the sun during the day to cast huge patterns across the landscape, whilst during night a low power LED light source illuminated the work from within. The Shadow Bath was mapped with a black optical pattern to cast psychedelic patterns inside and out, bathing visitors in shades of dark. Finally, Loop.pH also created an installation about turbulent weather at the Victoria & Albert Museum, London in 2016. The work was part of the V&A’s Digital Design Weekend, which brought together hundreds of artists, designers, engineers, technologists and the public to celebrate and share contemporary digital art and design. 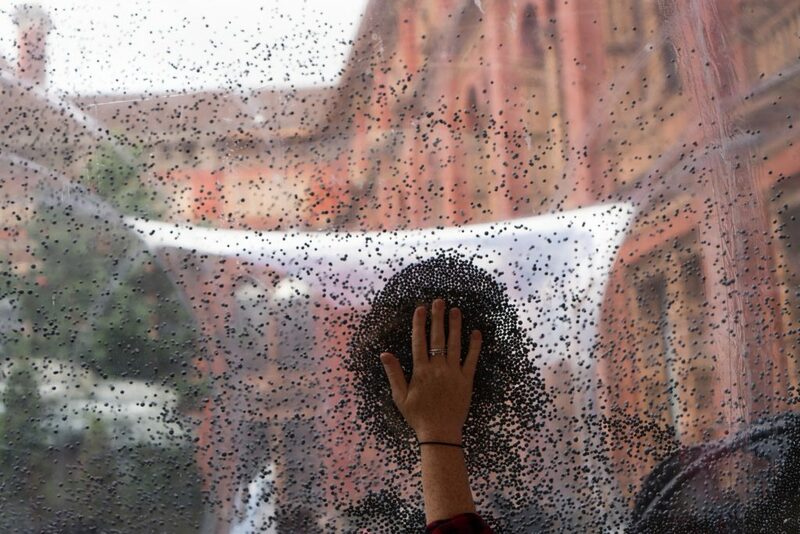 Storm Laboratory was installed in the museum’s garden where visitors could experience the turbulent nature of geophysical air dynamics via a transparent pneumatic toroidal form containing thousands of animated carbon particles.